Yesterday I told ya about printing my own paper and today I am going to show you the first project I made...with the subdued paper mind you! 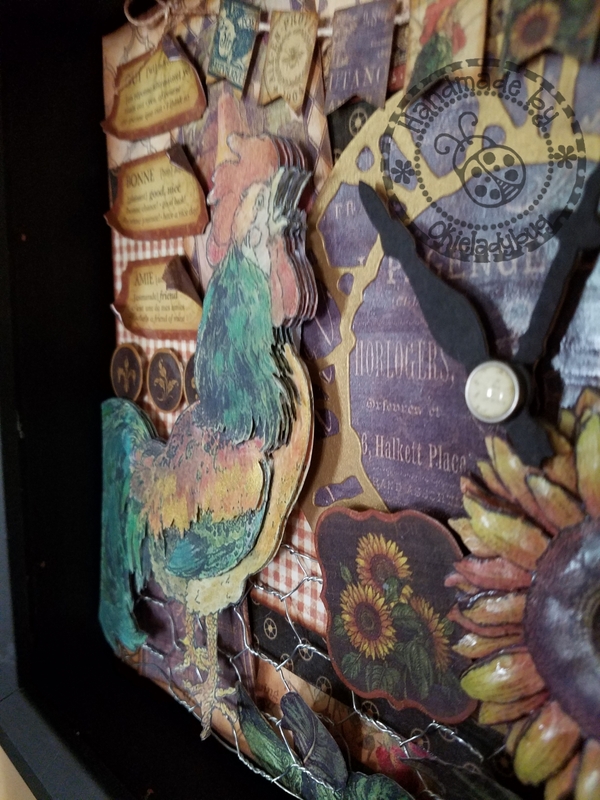 This is the mess I had while trying to figure out what all elements I wanted in the shadow box, the rooster was a must and everything was added around him. If you look closely you will see how some of the paper is gloss and in order to brighten up the paper I added some Liquitex Gloss Medium Varnish. I had found some at Zipp Outlet for I think $1.97, I also had found some Liquitex Matte Gel but haven't used any of it yet because I'm not quite sure how to use it but I knew I should have it just in case *okie is ashamed to think of all the things she has in her craft room for a just in case situation*. I had scanned some of the stickers that was available to me along with the paper as I knew I would want to use some. 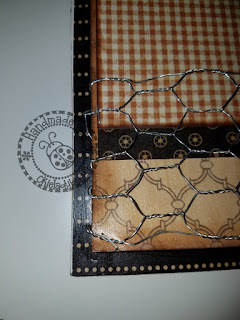 Another thing I knew I wanted to use was some wire ribbon, much like chicken wire, that I had picked up at Hobby Lobby when I was in Houston back at the New Year. I had originally gotten it with a different project in mind, that will post tomorrow, but I thought it would go nicely in the shadow box as well, after all doesn't every rooster need some kinda chicken wire to keep it safe from other critters? 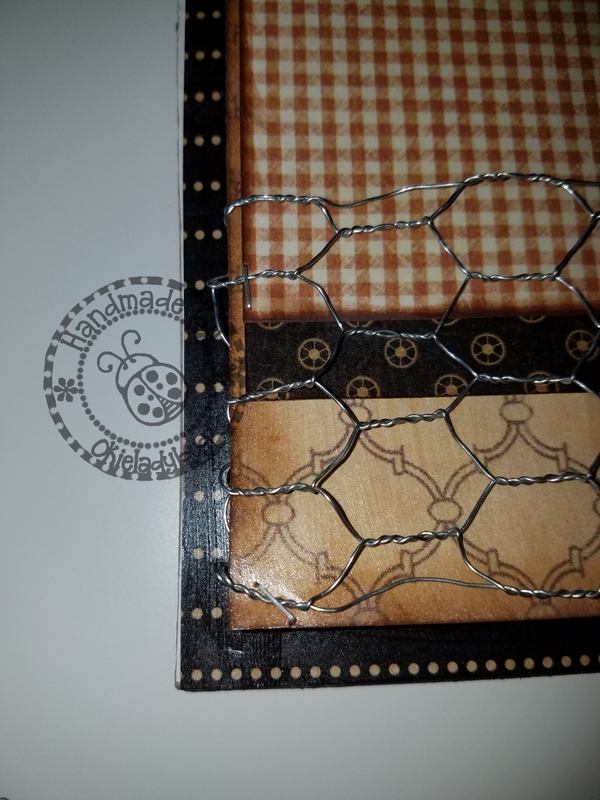 It cut easily with some little jewelry wire pliers I keep in the craftroom and just tucked the ends back behind the matted paper. 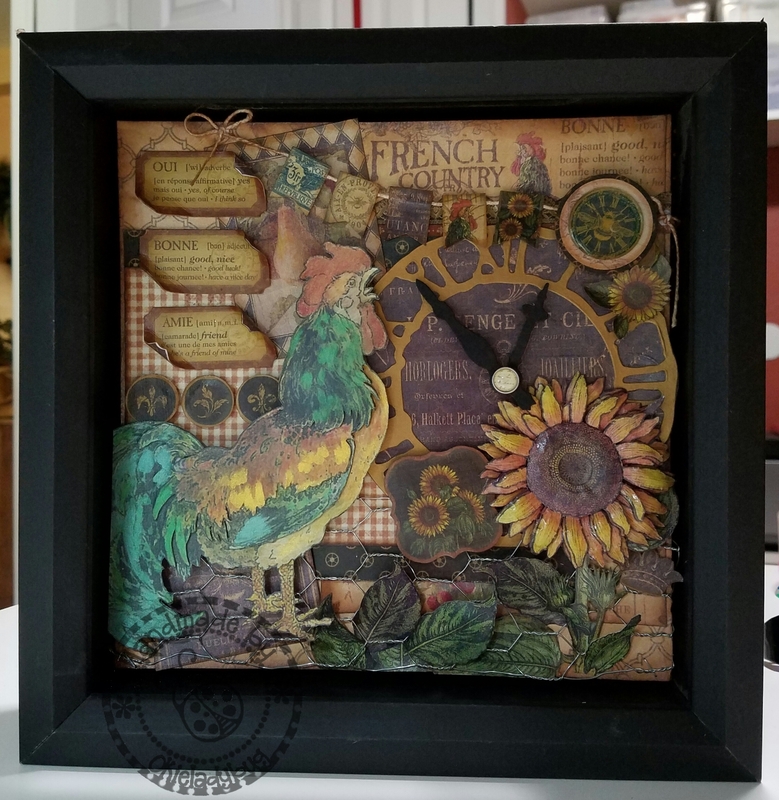 After getting all my French Country elements together I decided I wanted to add a clock to the mix and I used the Tim Holtz Weathered Clock Die that I had also found at Zipp, I paid a whopping $4 for it. 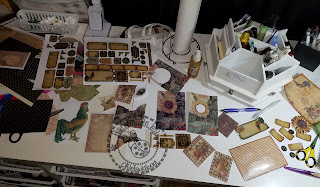 I cut it out of some gold mica cardstock and then used some of the printed paper to back it. People who have seen the shadow box in person have asked me if the clock was real and worked and I had to let them know it was only paper. I did a lot of dimensional work on the shadow box. The rooster is actually 5 layers and this view shows how he is layered. 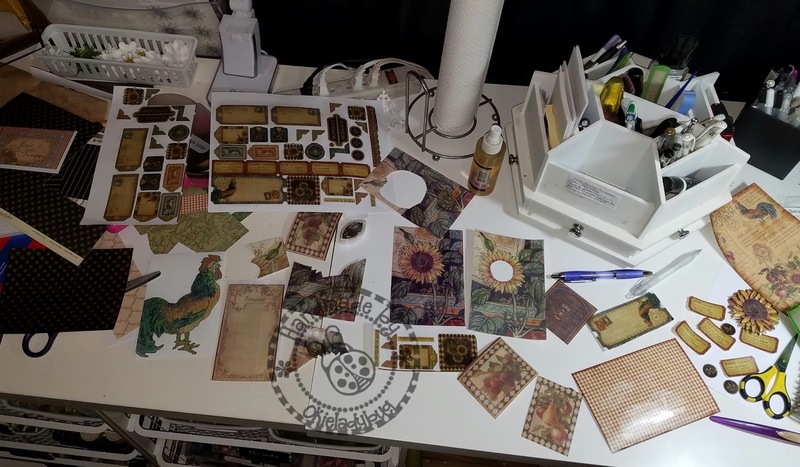 I curled paper, pop dotted things, made a little banner, layered the sunflower and probably a few other things that I have forgotten. I did add some Ranger Perfect Pearls on the Roosters feathers here and there, which might be able to be seen better in the picture above. I used the colors of Sunflower Sparkle, Blue Patina and Forever Green. They don't show well in the pictures but in person they really look good. I was really pleased with how the shadow box turned out and it goes in my kitchen quite nicely! Be sure to come back tomorrow and see the other project I made using the printed French Country paper! What a fabulous window box. It will be the perfect addition to your kitchen decor. 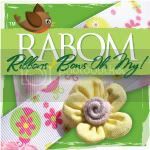 I've never even heard of chicken wire ribbon before, but I love it! Very nice! 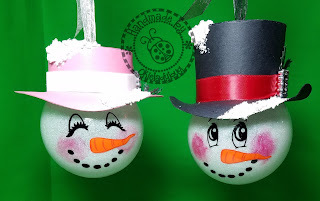 You may not have been posting on your blog for a while, however it's very evident you have been busy crafting! 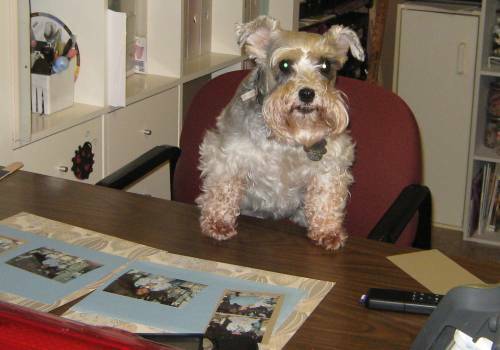 Your projects are all amazing and your daily posts are wonderful! Have a great day! Thank you!